Study accountability in public schools, including the performance and accountability of charter schools, alternative education programs, and juvenile justice alternative education programs. Monitor the implementation of HB 3343, 77th Legislature, relating to the operation and funding of certain group coverage programs for school and educational employees and their dependents. Evaluate traditional and alternative certification programs and their effect on the recruitment and retention of teachers. The Committee shall look at the use and re-employment of retirees in public schools, the use and re-employment of retirees in teaching future educators in the state's colleges of education, pre-and post-graduation incentives to enter the teaching profession, and the impact of advanced professional development and certification programs on retaining experienced teachers in the classroom. Study programs designed to increase the accessibility of higher education for Texas students. 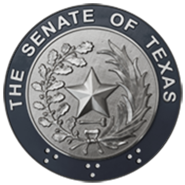 The Committee shall examine the effect of residency status laws and guidelines on enrollment in Texas colleges and universities, evaluate the impact of the top ten percent rule on enrollment of educationally disadvantaged students, assess strategies to increase recruitment and retention rates of educationally and economically disadvantaged students, and monitor the implementation of HB 400, 77th Legislature, relating to assisting prospective students in enrolling in institutions of higher education.